Well done to you all and Jenny if you can email us with your address then Wendy has a little something for you by way as a prize. Good morning all, we hope you are enjoying your bank holiday weekend and the weather holds out for us to make use of the great outdoors. You made some lovely cards last week and we really enjoyed visiting your blogs so thank you for your continued support. We are really busy this week as we have had a call out for a new team member, well we were in a quandary as we had so many great people show an interest that we ended up choosing not one but two new members. I know you will like what they do and as their styles are very different there will be even more inspiration for you each week. I've always been a crafter in one way or another, learning to knit, crochet and embroider from my elders. 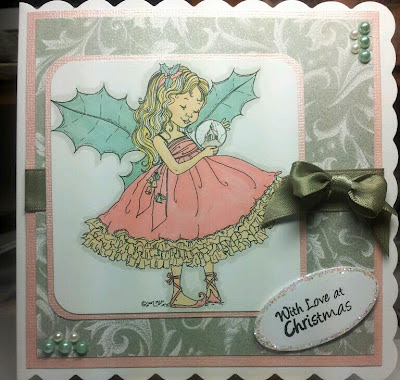 Once I discovered computers back in 1995 I started to make a few cards digitally, it wasn't until 2005 that my niece brought some of her crafty stash with her when she came for a holiday visit that I got hooked on papercrafting. 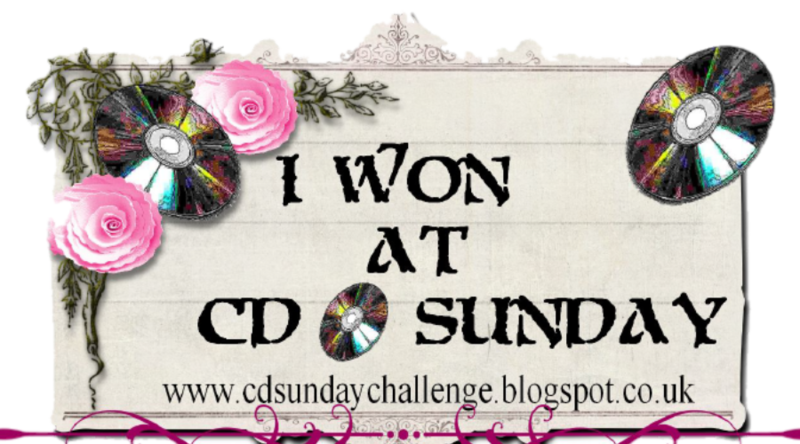 I love rubber stamping and have many stamps but my colouring skills leave a lot to be desired sometimes - so CD's are an essential for me. 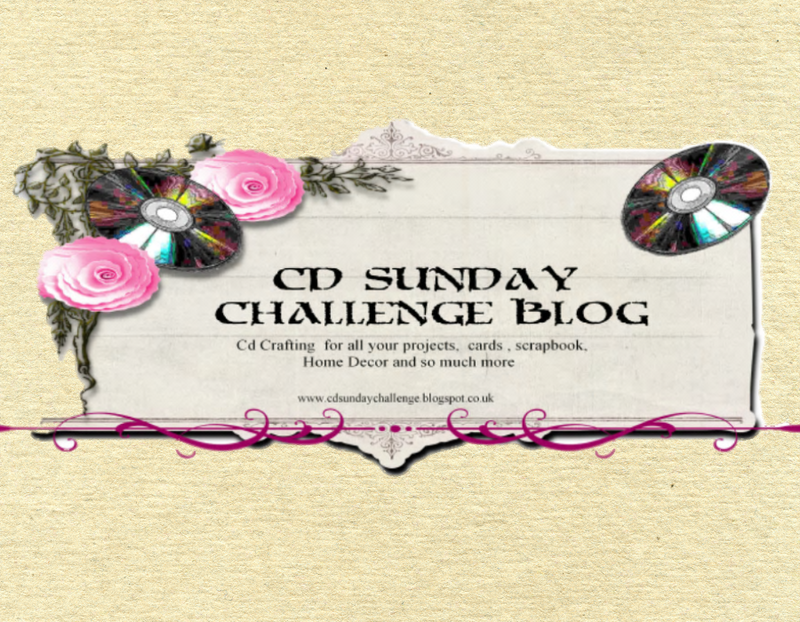 And being invited to join The CD Sunday Challenge Design Team is a bonus and an honour. Welcome to the team Beryl and hopefully you will have lots of fun with us. I am married, have 2 sons, and 6 grandchildren. I retired a few years ago, after a very busy work life, I am so enjoying spending more time crafting. I started crafting in my late 20's, over the years I have tried my hand at most forms of crafting. For the last 10 years I have been content with paper crafting. Like many crafters, I wasn't good at Art at school, because I can't even draw a recognisable matchstick man. However, the world of creating has changed with the introduction of so many lovely craft CD,s, stamps and inks. I love to play, experiment and even get messy. I teach a weekly class of a number of ladies who feel as passionate as I do to create a nice finished project from the beginning of a white sheet of paper or card. 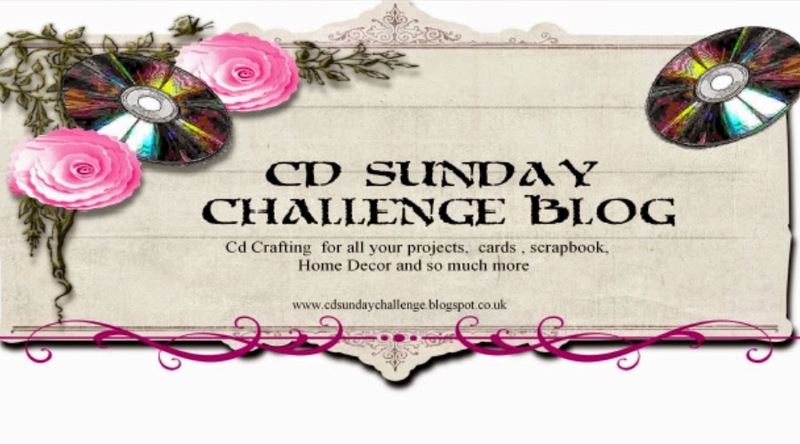 I am delighted to be joining the CD Challenge blog Design Team, and look forward to creating regular CD created cards. Welcome Caz and we hope you too have a great time and enjoy being part of the team. Our guest this month is Sue once again, we were meant to have a new guest but a few problems meant that she couldn't manage this month and Sue very kindly agreed to stay on and do another month. The team have been busy as usual and have come up with quite a few good ideas for you so here we go, and as usual we will start with our guest. The sentiment comes from Rachelle Anne Miller Collection. So there's plenty of variety here for you and I hope we have inspired you to come and join us. Just the few normal things to think about, use something from a cd and link back to this blog in your post but most of all enjoy! oh my, the DT ladies have done it again, what beautiful cards we have this week. A very warm welcome to our 2 new DT members, i look forward to seeing what you bring us each week. I didnt think I'd get a chance to enter this week as I have so much 'stuff' going on and I missed last week but I was determined not to let my crafting slide to the bottom of the 'to do' list. Congratulations to all the DT ladies, stunning cards and a great theme. Great DT samples girls and congratulations to Beryl and Cazro! Lovely cards from the DT, congratulations to the new ladies. I love green - so well done!! Lovely cards, ladies. Fab DT inspiration, thank you for another great challenge. I hope I have enough green! Beautiful cards from the team and a lovely idea to pick a colour. Thank you for my top spot last week. Lovely samples from the DT. Thank you for placing me second last week.